I remain concerned about Motorola’s choice to launch Moto X with AT&T—the carrier that failed with HTC First (the Facebook phone), like Verizon did with Microsoft Kin, which were targeted at similar audiences. I don’t have Moto X. Motorola graciously provided BetaNews with a review unit, and my colleague Brian Fagioli has that one. A second isn’t available, which is perfectly reasonable. So my only experience is the AT&T store, yesterday. The sales display impresses. There is a demo phone, iPad with flashy sales info, and selection of back covers so buyers can see exactly what they get if choosing to customize. Cards for the 16GB and 32GB models are there. Grab, pay, and go to Moto Maker site to personal and order the phone. Everything was there, but something was missing. Buyers. All the marketing and personalization options target younger consumers—the iPhone set—but I saw none gawking over the Moto X display. Instead, a 40-something gentlemen approached me, excited to buy a new phone; he just waited his turn to be served. Two things: He clearly was a gadget geek, and he is an existing Motorola customer (upgrading from Atrix )—exactly not the buyer Googorola wants to reach. I was surprisingly less excited by Moto X than anticipated. The screen is way oversaturated for my tastes, and I don’t like the feel in my hand—AT&T’s security device on the back probably numbs the experience. Google Now impresses, but many of the voice commands and search capabilities are already available on other Androids. They’re just touch taps away. The point: I expected to be wowed but was more meh. By contrast, HTC One sent my blood pressure soaring on sight and still does. Yesterday was supposed to be the last day to return my HTC One within the 30-day buyer’s remorse period (according to T-Mobile customer support), but my receipt suggests perhaps today. I almost returned the One, willing to go without a phone for a few days, waiting on the Moto X Developer Edition. I want to be more excited by the phone. I really do. But I fear my original assessment is right: That like the early TiVo, most people won’t get the touchless interaction concept without really using the device. Anyone who tried to explain the DVR—called Personal Video Recorder, back in those days—should understand; you rarely could get anyone to understand the benefits by explanation. People had to experience it. AT&T’s in-store presentation is pretty good, but static. Buyers can see the benefits of personalization but not those related to how they use the phone. I know some of those benefits, and I still left underwhelmed. There should be someone walking around, giving live demos. Let people ask questions, while holding Moto X. Anyone in sales should know: Get the product in potential buyers’ hands, so they feel a sense of ownership. But here they also can feel relationship, because Moto X responds to their voice. I may still try to return my One. If an AT&T subscriber, I probably would have ordered already, simply because I know touchless is the future of all device interaction. If Motorola had given exact time Moto X Developer Edition would be available, rather than cryptic within days, the One might have gone back to T-Mobile yesterday. That said, AT&T had better change sales tactics so they’re appropriate to the device. 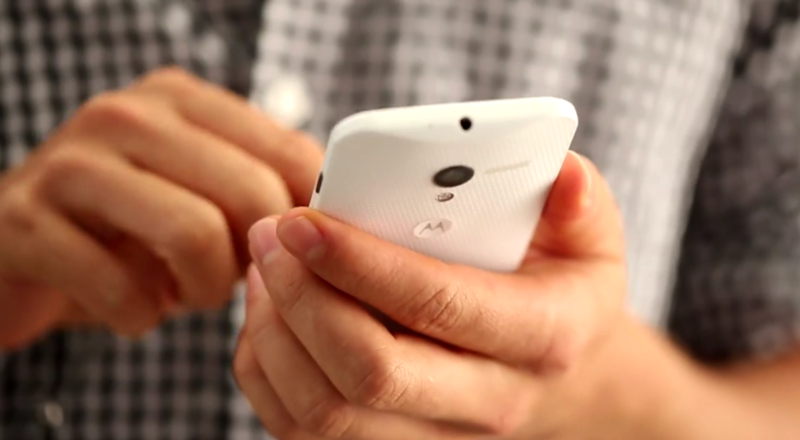 Everything about Moto X interaction is active. Sales should be, too. Demo the damn phone by drawing a crowd of people cooing over voice interaction. Buzz will spread. Vine videos, Tweets, Instagrams and, Facebook posts will flourish, and nourish the marketing pipeline.